Glenns Opticians - Established in 1936. 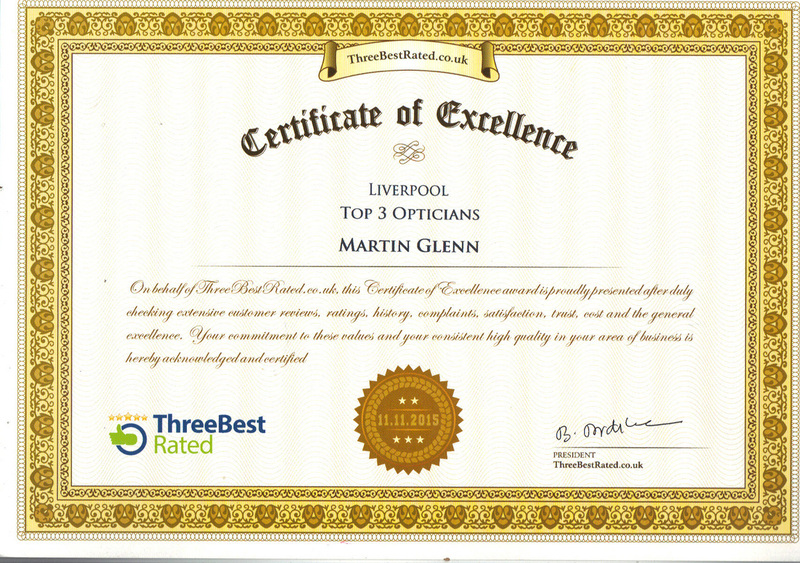 An independent optician serving Crosby, Formby and North Liverpool. Glenn’s may have a history, but to enter the new premises is like stepping into the future. The style is fresh and modern, the technology so impressive and the latest designer collections of frames are truly stunning. There are also glasses to suit all budgets. This forward thinking practice has invested heavily in cutting edge technology. Customers benefit from computer assisted sight testing equipment. The latest method of checking eye health is digital photography. Glenn’s is leading the way in providing this wonderful benefit of modern technology. This is just a small part of the superb service offered to every customer who walks through the doors of the Liverpool Road premises. On entering the practice, customers are greeted by Glenns friendly and helpful receptionists Jane Owen , Velda Smith, Janet Wood and Helen Hall. Dispenser Adrian Glenn and Linda Glenn, a trained expert in face shape and colour analysis, advise customers on which frames enhance their best features, and the results can be seen on an i-Pad. Of course, Martin Glenn carries out eye examinations again aided by the latest technology. "Many people dislike having their eyes tested because they fear that if they get the answers wrong, they will get incorrect glasses. However, the latest computerised sight-testing equipment helps to produce a result which is both accurate and not totally dependent on patients' decisions." So why not make an appointment today? Don't take chances with your eyes - entrust them to Glenns Opticians.